Old Fashioned Chocolate Pound Cake With Grandma's One Minute Fudge Frosting recipe makes a delicious, moist fudge pound cake just like Grandma used to make. A Chocoholic's dream made rich and darker (I call it midnight color) with Dutch processed cocoa, unsweetened chocolate and butter, all without being too sweet. Lots of cake baking tips are included. What a pleasure, enjoying the amazing deserts of Grandma's era with your family! There are a few extra, but easy steps to this Old Fashioned Chocolate Cake recipe to get you a lighter texture and superb taste. As we remember, Grandma took extra time preparing her special cakes so they would be delicious and just right for you... every time. Carefully separate eggs, placing the egg whites in a stand mixing bowl and the yolks in another small bowl. When separating the yolks and whites use coffee cups or small custard cups when breaking each egg separately. Then place the whites in the stand mixer bowl and the yolks in another small mixing bowl to be added to the batter. TIP: If one or more of the whites and yolks do not completely separate, add the whole egg to the yolks container. That can mean the eggs are not as fresh, but are still fine to use. It can also mean the eggs were cracked a little too hard. Egg yolks and whites separate easier at cool refrigerator temperature but beat to a higher volume at room temperature. Therefore, it is best to separate the eggs first and let them set at room a few minutes while preparing the other ingredients. Taking these extra steps assures you will not have a speck of yolk in your whites, which could prevent your egg whites from beating properly. When at room temperature, beat the egg whites with the stand mixer until they reach a large volume forming stiff peaks. But, don't beat them so long that the whites start to get dry because the important bubbles will start to dissipate. Place beaten whites in another bowl and set aside. Measure Dutch cocoa and place in a small heatproof container. (I use a large coffee cup or 16 oz. measuring cup). Stir in the boiling water until the cocoa has dissolved. Set cocoa mixture aside to cool while you continue to prepare the other ingredients. Sift together sifted cake flour, baking powder and salt. Set aside. In the stand mixing bowl (that the egg whites were mixed in... no need to clean bowl) add butter and mix on medium speed about 30 seconds or until butter is creamy. Add sugar to butter a little at a time creaming on medium speed after each addition until all is incorporated. Turn mixer to high speed and cream until light and fluffy. Takes a minute or two. Add egg yolks, one at a time beating on high speed after each addition until light and creamy. Scrape down sides and bottom of mixing bowl after adding each egg. Add cooled chocolate, a little at a time beating after each addition until thoroughly mixed. When all cocoa mixture had been added, crape down sides and bottom of bowl. Gently old in flour mixture and evaporated milk, alternately, until all is incorporated. Turn mixer to medium speed and beat about 1 minute. Scrape sides and bottom of bowl again. TIP: Beat very lightly after starting to add the flour because cake flour has a low gluten content for a tender cake and beating it too long after adding liquid can cause gluten to develop rendering your cake less tender. Gently fold in beaten egg whites just until well incorporated. Scrape down sides and bottom of bowl. Spoon or pour batter into a prepared* 12 cup tube baking pan. (I use an Angle Food cake pan). Smooth top lightly with a spatula or back of a tablespoon. Bake in a preheated oven 325F. for 65-75 minutes or until the cake tests done. TIP: Your Old Fashioned Chocolate Pound Cake is done when it starts releasing around the edges of the pan, is lightly browned on top and when a toothpick or small knife inserted into center of cake comes out clean. The top near the center will also spring back when gently touch with you finger. Remove from oven and let cake cool in the pan for 10-15 minutes. Loosen around the edges with a knife and invert the cake onto a cooling rack to cool completely before frosting. TIP: When you think the cake is ready to turn out of the pan, carefully turn the cake up on it's side and roll it around slowly allowing the cake to release from all sides. I find this an excellent way of releasing a perfect cake and not leaving so many crumbs as you do when you sliding a knife around the edges. *To prepare your baking pan before pouring in your batter it is best to grease the bottom and sides including around the tube with cold butter using your fingers. Then dust the buttered sides and bottom lightly with flour. You can go another step to assure you get a neat bottom on your cake when it releases from pan. Cut a circle of parchment paper to fit the bottom of your pan. Grease the top of the paper with butter and dust it with flour too. It you bake cakes often it saves time to cut parchment papers to fit your baking pans ahead of time and store them in your pantry. When your cake has cooled completely, prepare Grandmas One Minute Fudge Old Fashioned Fudge Frosting to enhance your lovely Old Fashioned Chocolate Pound Cake. Add sugar, chocolate, milk and butter in a small sauce pan. Heat on medium low heat while stirring constantly until mixture comes to a boil. Start timing immediately, while still stirring and boil for EXACTLY one minute. Continue stirring, vigorously, until frosting has cooled a little and is thick enough to spread. Frost thoroughly cooled cake immediately, while frosting is slightly warm. This recipe makes an awesome Fudge Frosting that is barely enough to cover the cake, so spread it on sparingly. 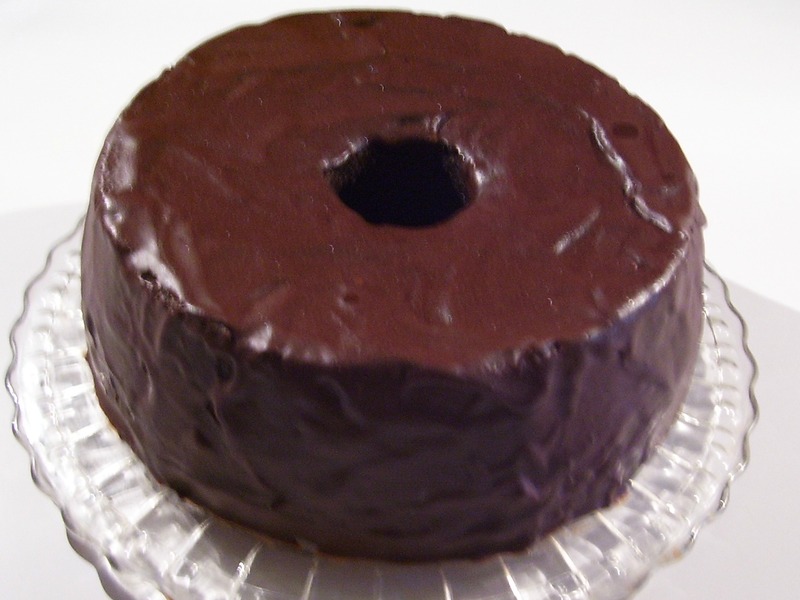 The warm frosting will cool and form a thin crust that keeps your Old Fashioned Chocolate Pound Cake fresh and moist and delicious. *I have found some small grocery stores that don't carry the Dutch Processed Cocoa. You can substitute regular powdered cocoa in equal amounts but substitute 1/2 teaspoon baking soda for 1 teaspoon of the baking powder listed in above recipe. However the regular processed cocoa will not give you the exact richness in taste. While Dutched Cocoa Powder is being processed it is treated with an alkalizing agent that changes it's color (to dark), taste to milder (but richer, IMO) and thereby removing it's acidity. And that is why you use baking powder instead of baking soda in this Old Fashioned Chocolate Pound Cake Recipe. The famous mayonnaise cake with secret ingredient. A novel cake for adults and children. Light cocoa cake with easy Mocha Frosting. One layer, quick and easy cake... ready in a jiffy! 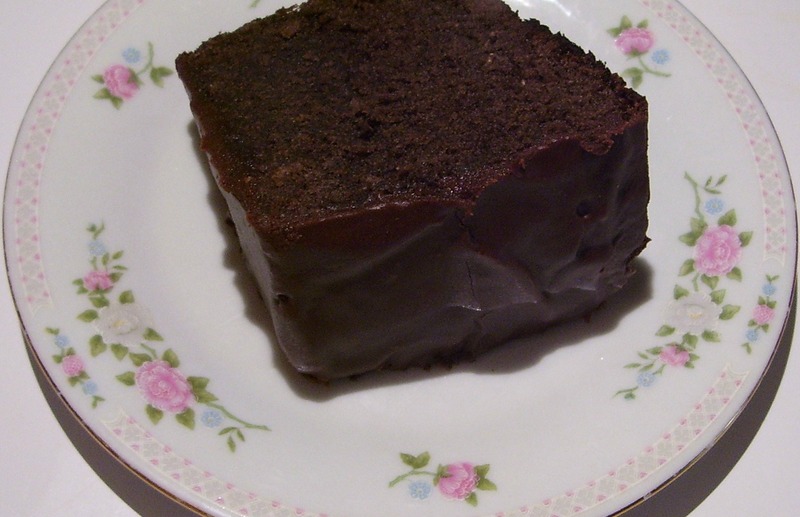 Old, dark layer cake recipe. Blue Ribbon winner. German Chocolate Cake Original recipe plus Buttercream Frosting. Chocolate Marble Sheet Cake Easy to decorate for special events. Texas Sheet Cake Well known rich, decadent cake. Origin not known.